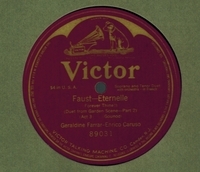 R0361. 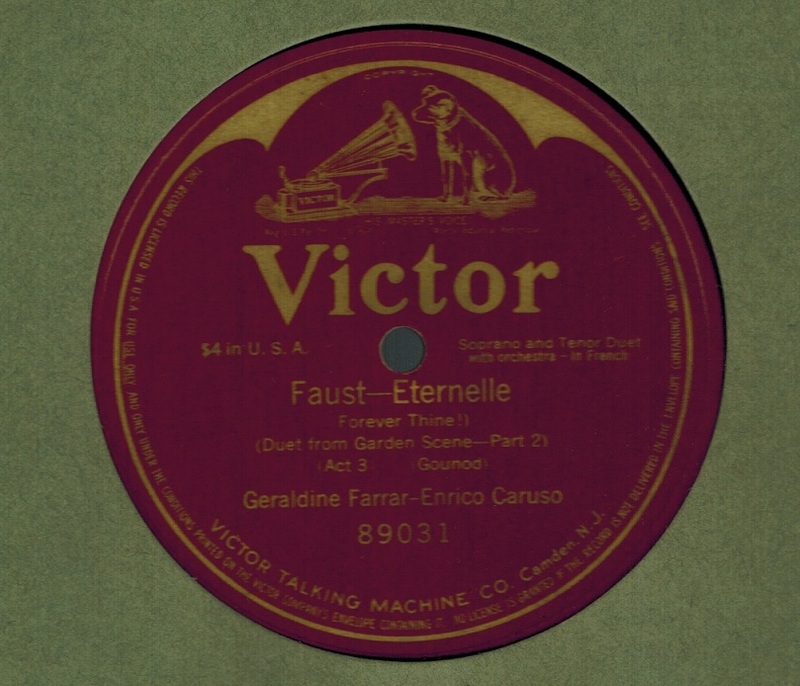 ENRICO CARUSO & GERALDINE FARRAR: FAUST – Éternelle (Garden Scene, II) (Gounod). 12” AC Victor 89031, POM-6 Jan., 1910. Superlative copy. (Pantograph pressing, as all later issues are).